We always try to report the most promising and real news to our readers, so when we reported that Google TV is coming this May, we were not joking. Even Financial Times is confirming that Google’s Smart TV is going to be unveiled this week (May 19th and 20th) at the Google I/O developer conference in San Francisco. 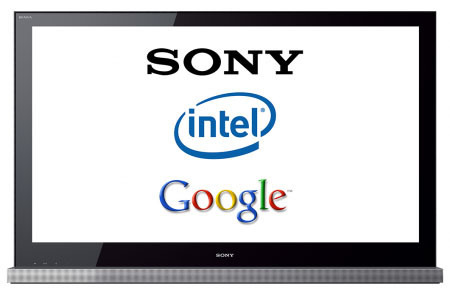 Google is going to unveil their Smart TV platform in partnership with Sony. Sony will provide the requisite hardware while Google will be focusing on the “Smart” features of the TV, which will not only enable it to connect to the Internet but also provide wide range of services ranging from movies provided by Netflix, CinemaNow and Vudu, to the channels playing Internet Radio, connecting to online photo services and also adding social networking features such as Twitter and Facebook. Intel is also joining the party by providing its Atom processor to power the Google TV, and Logitech is said to be designing the remote controls for the television. The revolutionary Google TV will be based on the customized version of Android, named “Dragonpoint”. Google is also expected to address its Android developer committee at the I/O conference, to create applications for Google TV. If the Google TV comes to reality soon, it will bring the much needed web services to televisions. We have already seen manufacturers revealing Televisions, Blu-ray players and set-top boxes with Internet connectivity at CES in Las Vegas in January this year. While even Yahoo had revealed the Widgets on TV screens with Intel, as long back as in 2008, but the market for Smart TV platform is still much fragmented, with still the need for a major player. With promising avenue for advertising revenues, it could very well become the sweet deal for Google.